To identify laser drilled diamond is simple. Laser drilling is the process to enhance diamond clarity. It basically changes black inclusion into white, hence less noticeable with naked eyes. In this laser drilling process, a tiny hole is drilled with the laser which reaches to the black or color inclusion. Laser passed through that pit melts or burns out dark inclusion and a thin hairline sized hole is left behind. Another process called fracture filling helps to fill this small hole with crystal substance, thus enhance diamond clarity. Learn more characteristic about diamonds clarity and how it affect diamond prices. Close Look at Patterns: Laser drilled diamond usually have a thin hairline pattern from skin toward the inside. To check out this tunnel use 10X diamond loupe. Below image shows parallel tunnel line and a hole in diamond facet which is caused due to the laser. It is sometimes hard to find for an untrained person. Use Microscope: Using microscope is the easiest way to check drilled diamond. Even tiny hole in diamond appears big in the microscope. You can judge drills in diamond by checking out patterns shown in below image. How To Take Care Of Laser Drilled Diamond? Laser drilling usually improves diamond purity by one step. For example, a diamond with SI2 clarity submitted under laser drilling process can be the outcome as SI1 clarity. But diamond with more holes and laser tunnels weakens its strength, thus chances of breakout increases. Use Cotton: If you own loose diamond or an engagement ring with laser drilled diamond, keep it between cotton when not in use. Cotton helps the stone from damage caused due to the force. Prevent from hit: Handle it with care. If you lose it and get hit by a hard surface, there are very good chances of damage to your stone. 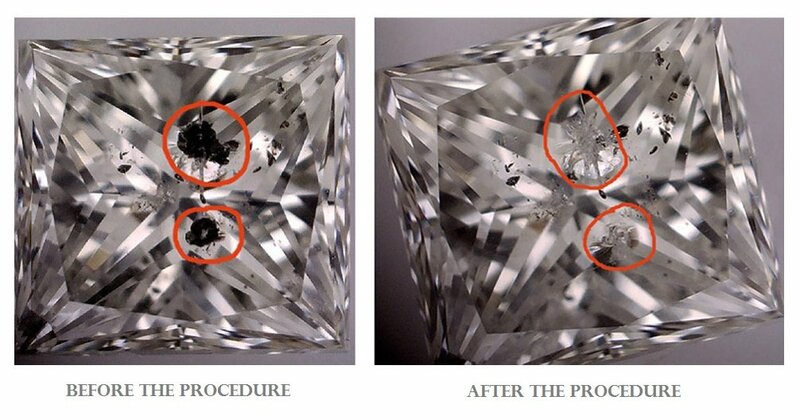 Note: Laser drilled diamond without the crystal or fracture filling have less value. Also, Laser drilled and fracture filled diamond are cheaper than usual certified stones. I always recommend buying stones with GIA certificate. 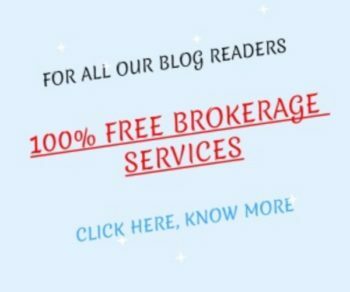 If you are buying noncertified stone. Check all the aspect of diamond before buying. Also, ask an expert before making a final purchase or you can contact us for any question related to diamonds.